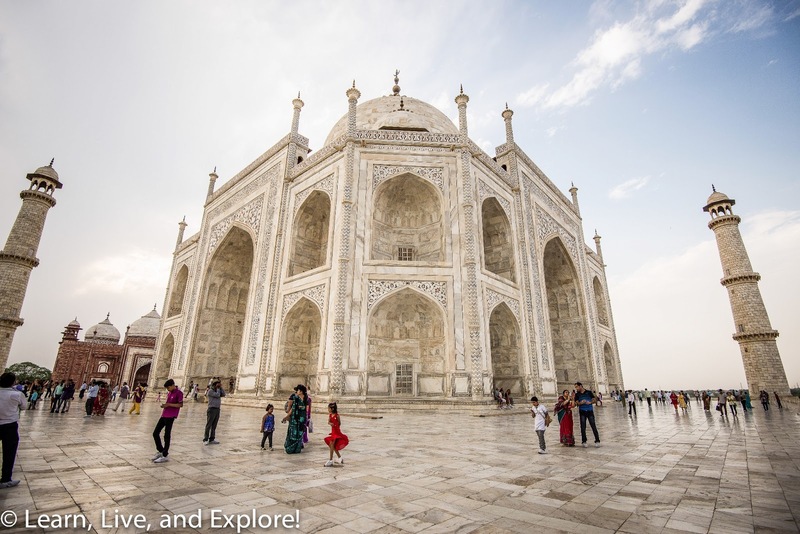 India - Agra and the Taj Mahal (Golden Triangle Part 2) ~ Learn, Live, and Explore! 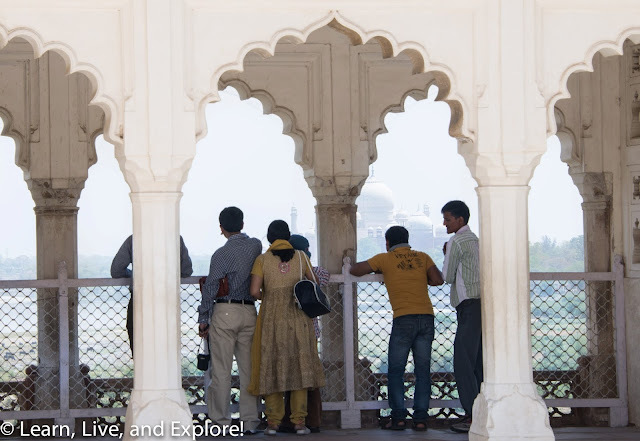 The primary reason anyone travels to Agra is to see the Taj Mahal, a UNESCO World Heritage Site. Built in the first half of the 17th century by Shah Jahan, the Mughal Emperor at the time, the Taj Mahal is a memorial and mausoleum for his prized third wife, Mumtaz Mahal. 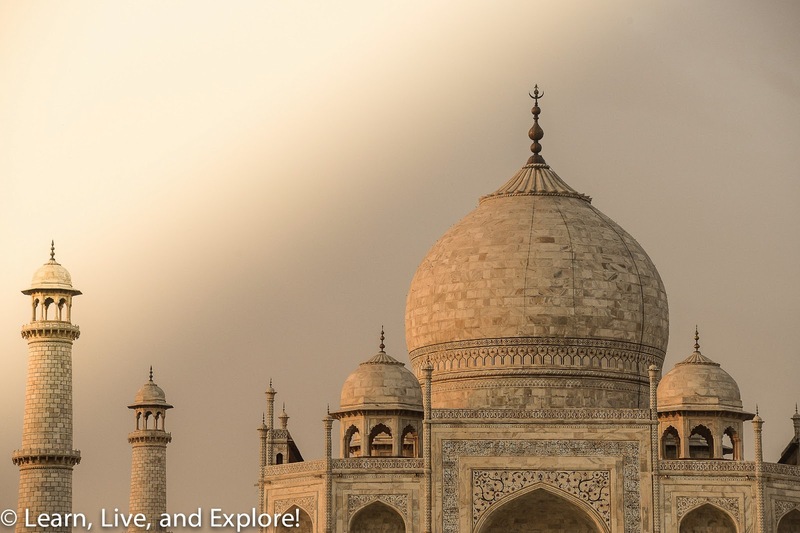 If you have any interest in photography, you will know that the best times to shoot the Taj are at sunset or sunrise. 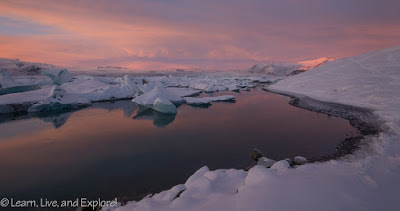 Of course, there are no guarantees what conditions will be at either time - sunset may be more crowded than sunrise when you can control the number of people in your shot by arriving very early, waiting in line, and predetermining shooting locations so as to be able to shift quickly between them. Then again, you could wake up and have terrible hazy conditions. 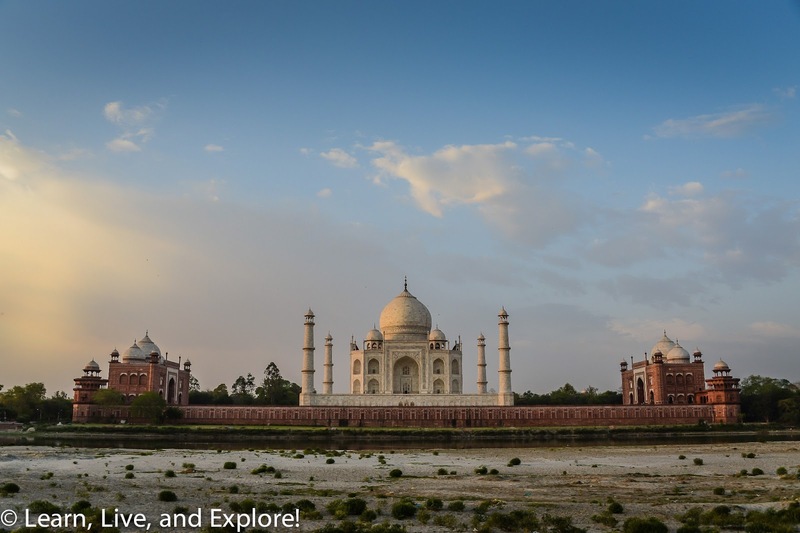 To play it safe, it seems to me that it's not a bad idea to book two nights in Agra. 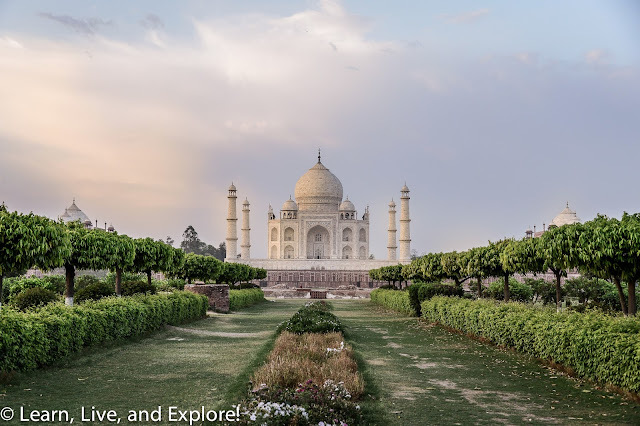 My first visit to the Taj Mahal was at sunset, and we were fortunate to be there on a day when the crowds were unusually light, so not only did I not have to wake up at a brutal hour the next morning, my luck afforded me the convenience of only staying in Agra for one night. Finally seeing this famous marble structure in person, I had no idea I would discover so many intricate details that are not obvious from far away, like the hand-carved marble lattice work and the inlaid semi-precious stone designs both on the interior and exterior of the building. 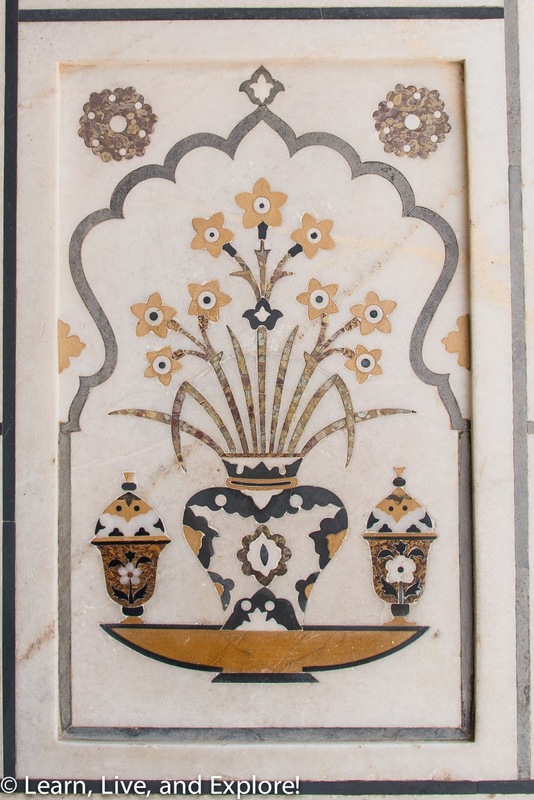 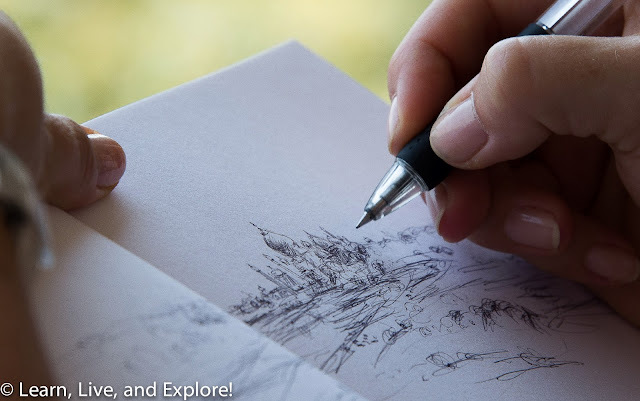 After touring the Taj, we went to a place where I saw firsthand just how time consuming the marble inlay work can be - shaping and polishing very thin pieces of stone then carving the marble just enough to be perfectly sized for the decorative element. 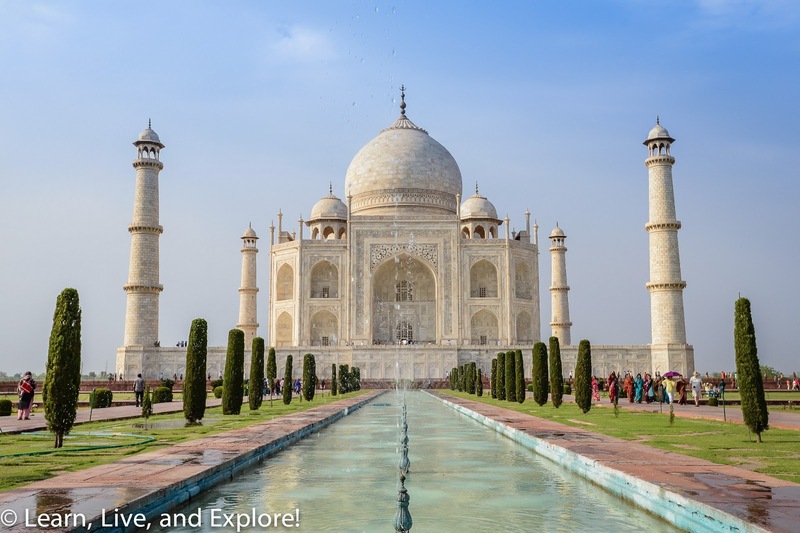 Apparently the glue used to hold the semi-precious stone in the marble is a tightly held secret that rivals the recipe of Coca-Cola! If you are lucky enough to get your desired Taj Mahal shots from within the complex in your first visit (like me! ), many who have visited Agra suggest heading across the Yamuna River for sunrise to get a different view of the famous site. The spot you want to get to is called the Moonlight Garden, or Mehtab Bagh, and was originally intended by Shah Jahan to be the site where a mirror image of the Taj Mahal was to be built, but out of black stone not white marble. 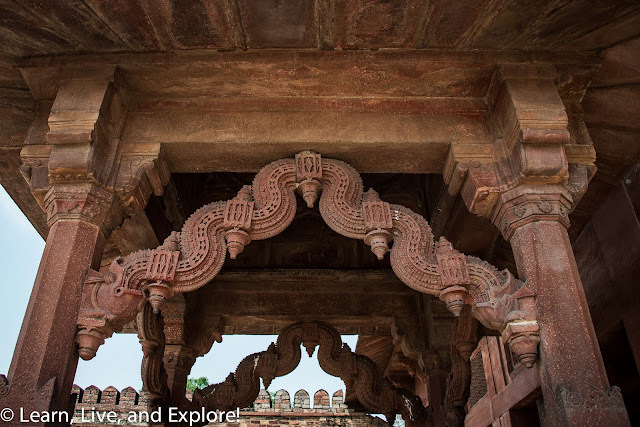 The foundation of this building is still visible in the garden. Construction was halted when Shah Jahan was sentenced to house arrest by his son because of his out-of-control spending. Agra is also the location of two other "must see" sites: The Agra Fort and the tomb of Itmad-Ud-Daulah (also known as the "Mini Taj"). 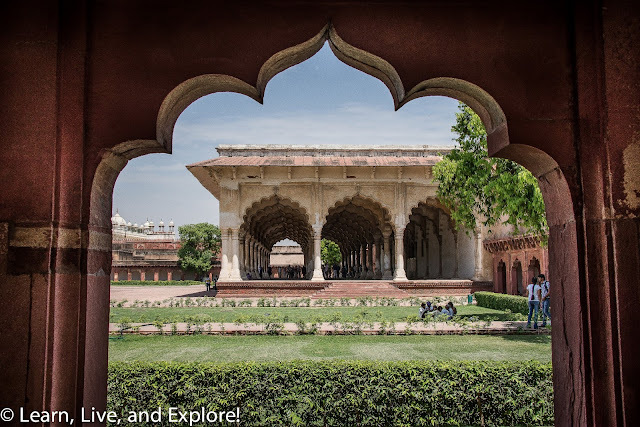 The current Agra Fort was built from 1565-1573 by the Mughal ruler, Emperor Akbar, after he named Agra his capitol in 1558. Primarily made of red sandstone, the white marble additions were later added by Shah Jahan, Akbar's grandson. 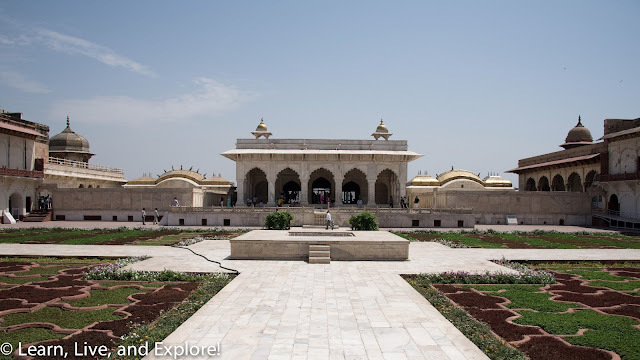 The layout of the fort consists of many courtyards. 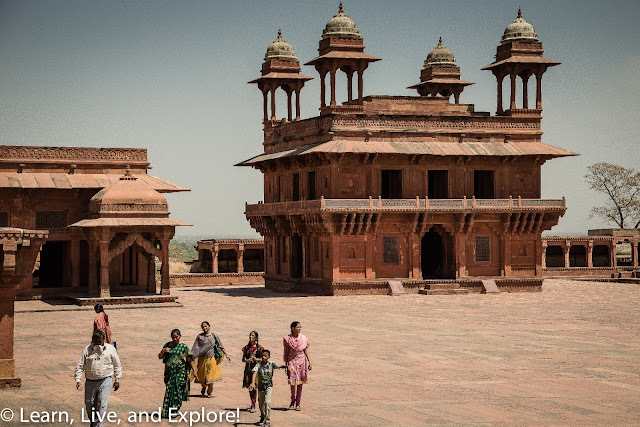 The most interesting area for tourists tends to be the enclosed living area of the Emperor's concubines (as many as 150), locked away from society to ensure their beauty remained for the Emperor's eyes only, that includes comfortable viewing areas for the Emperor to watch his concubines dance and a resting place for the Emperor to take his chosen girl for the night. 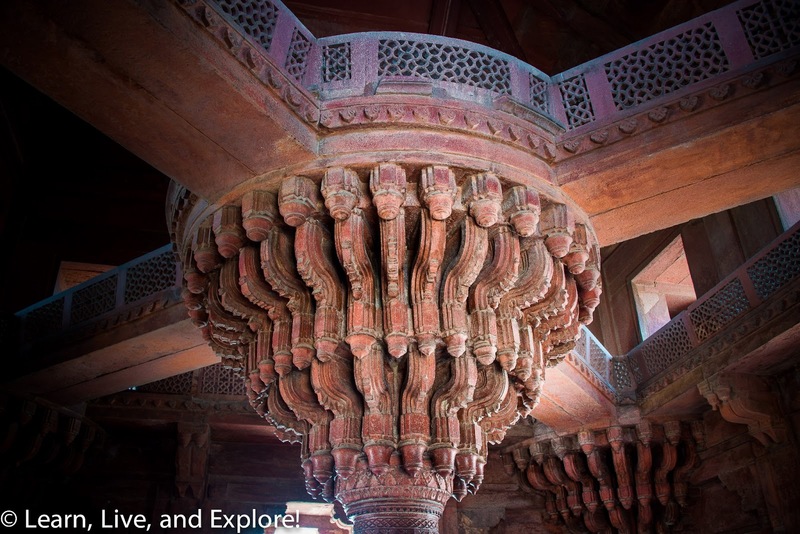 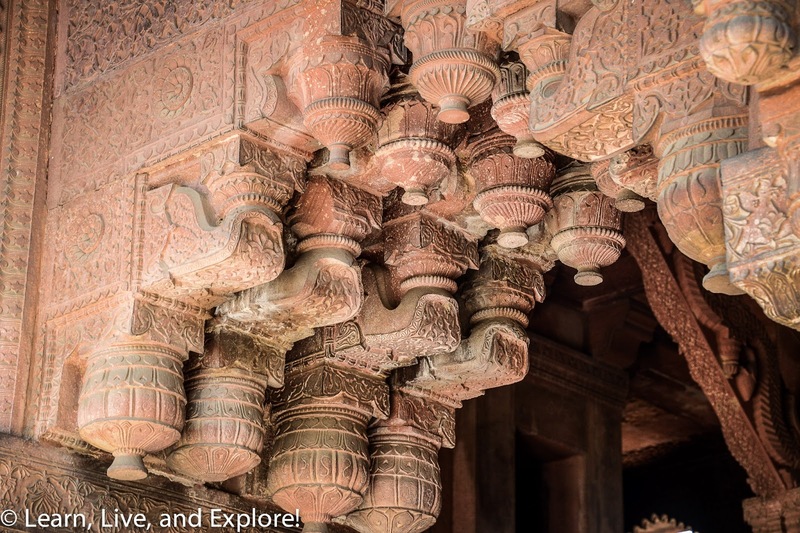 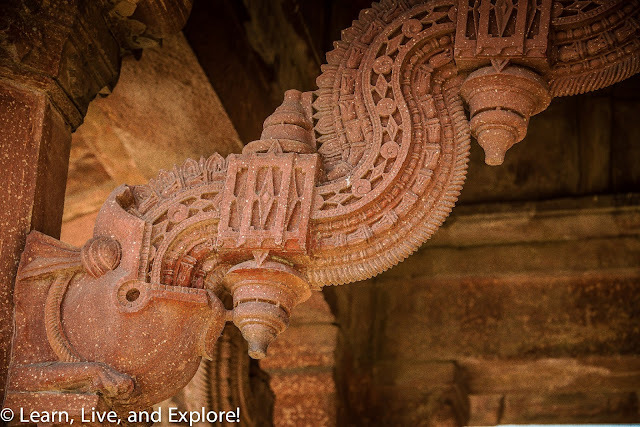 In Moghul tradition, the red sandstone structure includes detailed carvings that incorporate design elements from Islamic, Persian, Ottoman Turkish, and Hindu architecture. 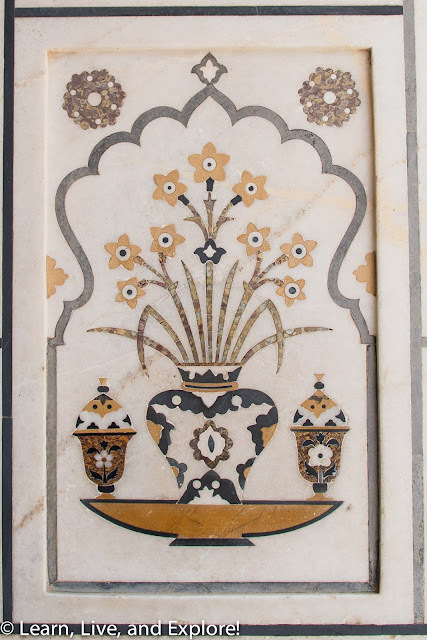 The white marble additions from Shah Jahan include the same "pietra dura" semi-precious stone inlays and latice work that are present in the Taj Mahal design. 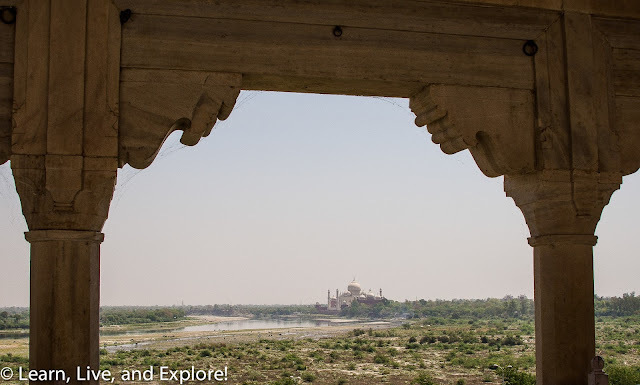 The tomb of Itmad-Ud-Daulah is across the river from the Agra Fort. 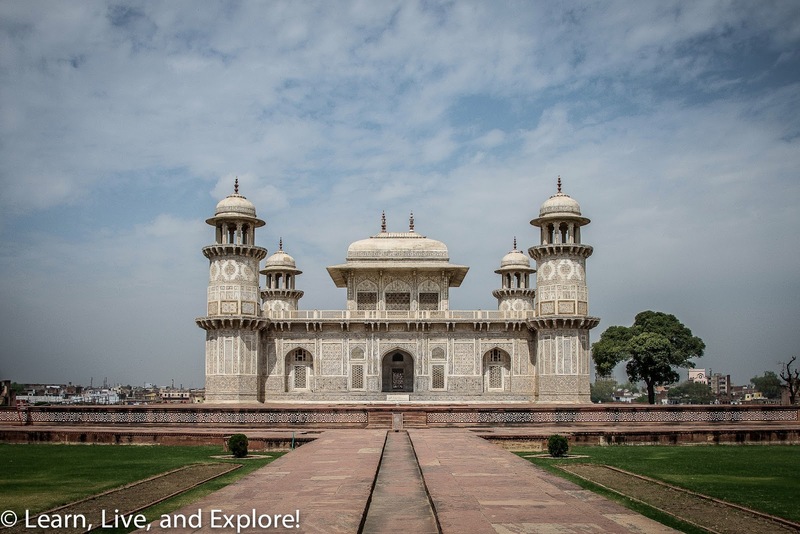 This small marble mausoleum was built by the Mughal Emperor Jehangir's queen as a memorial to her father. 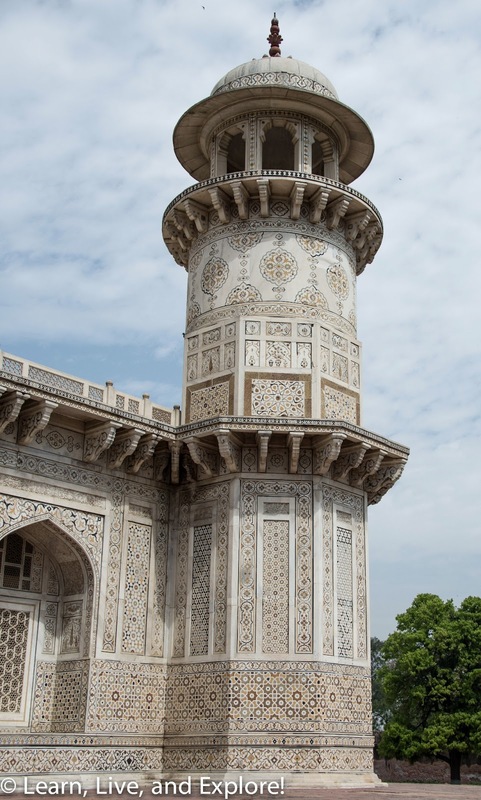 This tomb's construction preceded the Taj Mahal and is thought to have been the inspiration for some of the marble inlay work and screens that were incorporated into the larger structure's design. Just 23 miles outside of Agra is an alternate capitol city of Emperor Akbar, Fatehpur Sikri. 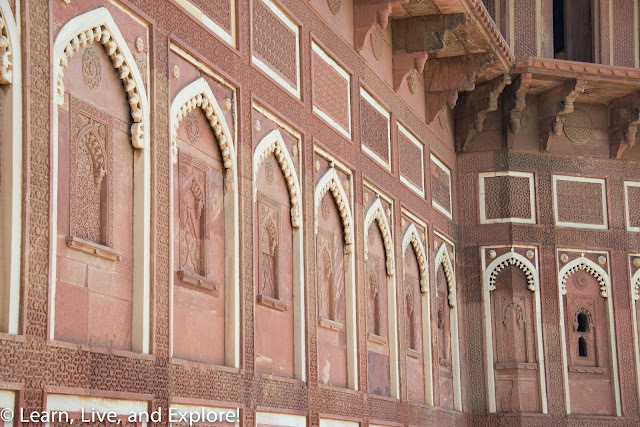 Built between 1570 and 1585 out of red sandstone, the fort was only used for a few years before Akbar decided to move his regime base to Lahore then back to Agra. A good portion of the buildings are well preserved today and serve to demonstrate the architectural preferences of the Mughal Emperor. 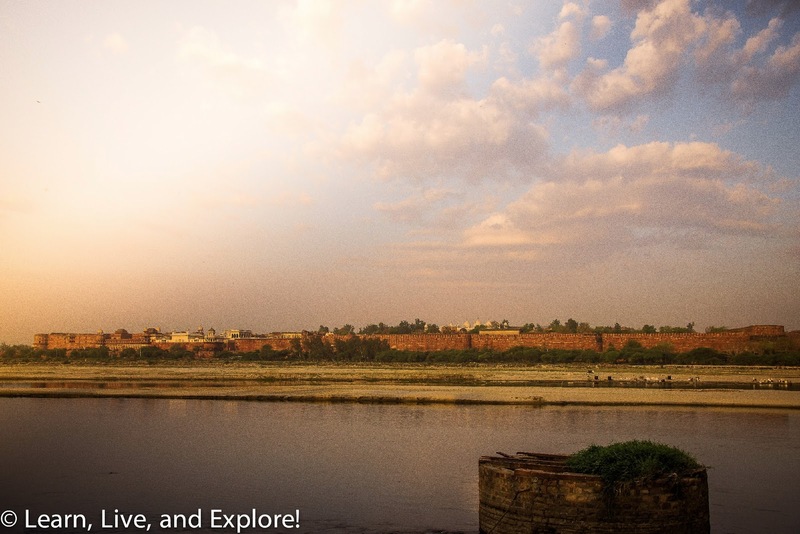 Nice photographs you have clicked, thanks for sharing them with us. 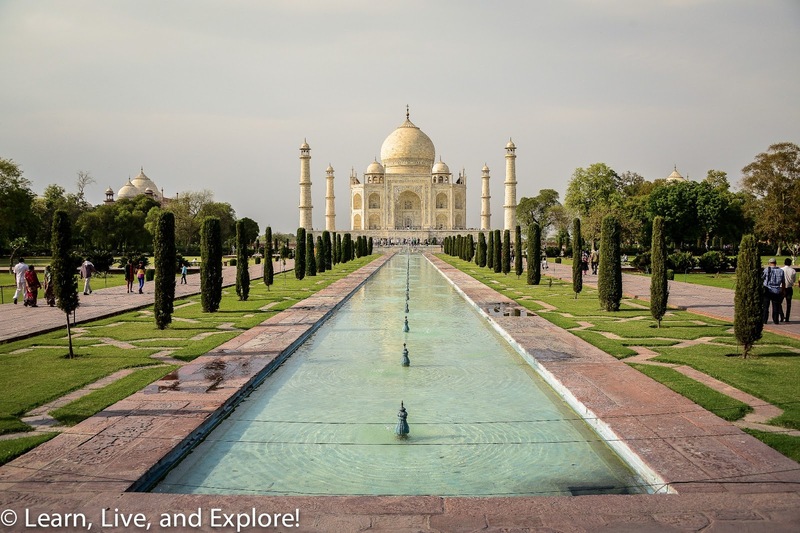 I am searching for a good Agra Travels experience and it looks like it can be that.